Registration for the 2019 Junior Theatre Festival is now closed. Details of the 2020 Festival will be announced in May. 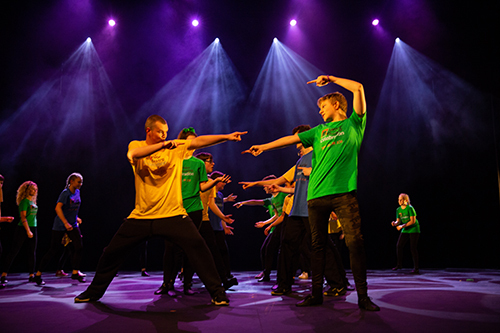 Schools and Youth Groups from across Europe are invited to come together to perform an extract of a Broadway Junior show, take part in workshops, celebrate their accomplishments and be fully immersed in musical theatre. Groups perform 10 minutes of a Broadway Junior musical for adjudication by leading theatre professionals. Groups are rated in the areas of music, acting, dance and overall performance. The adjudicators offer constructive criticism to each group to encourage further learning in key areas. Get a sneak peak at the newest shows soon to be released in the Broadway Junior range. West End professionals and master teachers from across the globe offer interactive workshops in all aspects of musical theatre performance. Groups will rotate around THREE separate workshops, each focusing on a specific skill. iTheatrics (the creators of the Broadway Junior shows), will lead workshops designed with theatre educators in mind. Group leaders will have the chance to ask questions, share experiences and learn new ways of working. Leaders will also have the opportunity to rehearse and perform a musical number on the main stage. During adjudications, 2 students from each group will be selected as All-Stars. All-Stars will participate in exclusive workshops and will rehearse and perform a featured number at the Awards Ceremony on the main stage. To celebrate the accomplishments of the day everyone gathers in the main theatre to watch the All-Stars perform. Outstanding performances are selected from the morning's adjudications and groups perform their numbers on the stage. Awards are given for achievements in dance, music, acting and ensemble as well as outstanding male and female performances. Special guest stars will perform on the main stage as a special treat to those attending the event. What if we haven't performed a Broadway Junior show? This event is available exclusively to schools and youth groups who have licensed a Broadway Junior show. Are there rules regarding group size? Groups must contain no less than 20 people (this is inclusive of adults/chaperones etc.) and no more than 50. In line with all Broadway Junior show licences, the maximum age of performer is 18. Registration will open at 8:00. The day should be completed by 19:00. 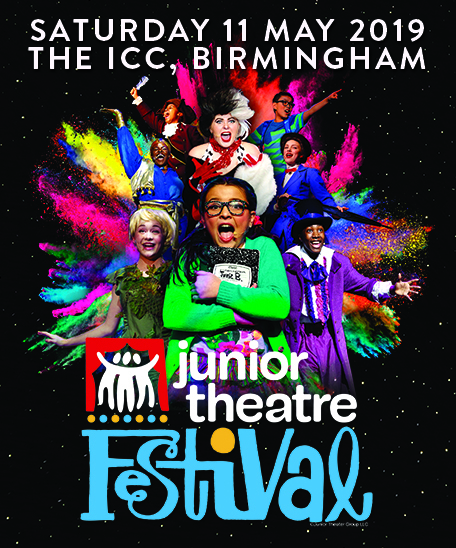 If you have any questions or queries regarding the Junior Theatre Festival then please do email us. The inaugral Junior Theatre Celebration took place on Sunday 12th March 2017 at Curve in Leicester. The adjudicators included directors Lotte Wakeham, Steven Dexter, and Racky Plews, as well as iTheatrics’ founder Timothy Allen McDonald and colleagues Steven G. Kennedy and Marty Johnson. Shows being presented include: Guys & Dolls Jr, Hairspray Jr, Once on This Island Jr, Disney's The Little Mermaid Jr and Aladdin Jr, and more. 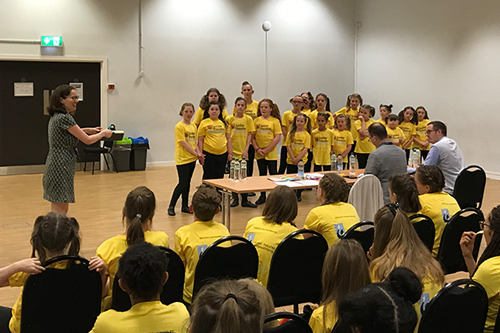 The workshops were presented by teaching artists from Disney's The Lion King, Roald Dahl's Matilda the Musical and Wicked. The evening event included a question and answer session with Strictly Come Dancing's Joanne Clifton, as well as performances from West End performers Liam Doyle (Wicked, Mamma Mia! ), Sophie Linder-Lee (Wicked, Mamma Mia! ), Sam Lupton (Little Shop of Horrors, Starting Here, Starting Now) and Kayleigh McKnight (Les Misérables, Bend It Like Beckham). 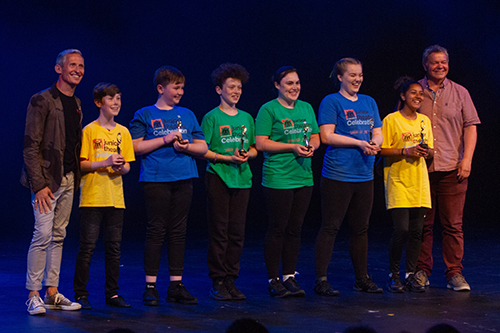 The second Junior Theatre Celebration took place on Sunday 3rd June 2018 at Curve in Leicester. The adjudicators included: Anthony Drewe, George Dyer, Debbie Isitt, Tim Jackson and Lotte Wakeham, as well as iTheatrics’ founder Timothy Allen McDonald and colleagues Steven G. Kennedy and Marty Johnson. Shows being presented included: Disney's Aladdin Jr, Into the Woods Jr, Legally Blonde Jr, Disney & Cameron Mackintosh's Mary Poppins Jr, Singin' in the Rain Jr and more. 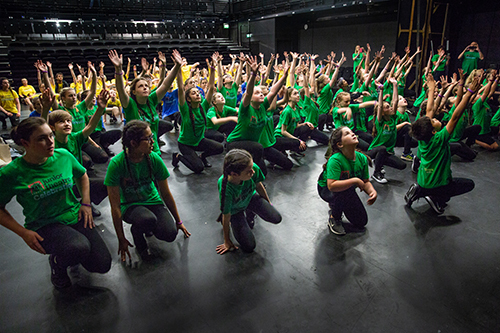 The workshops were presented by teaching artists from Disney's Aladdin, Mamma Mia! and Shrek the Musical. 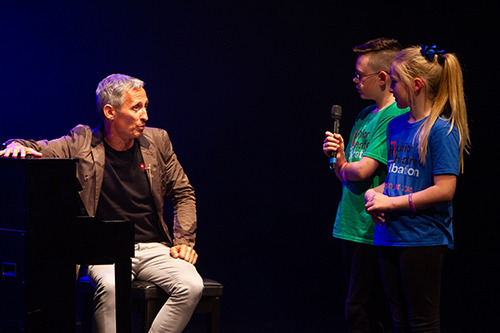 The evening event included a question and answer session with authors George Stiles and Anthony Drewe as well as performances from West End performers Rachael Wooding and Mark Dugdale.